Bergerwerke G519 bicycles can be customized to your own specifications! You can choose custom options of paint schemes, rear fender stenciling, and data/identification plates. 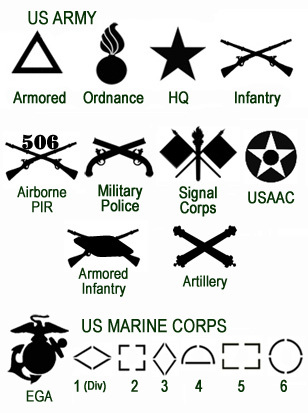 All stenciling and custom options listed below are inlcluded with the BwG519/M306! 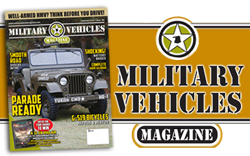 If you have a custom stencil or insignia in mind, let us know. Specific requests can be sent to Bergerwerke in any format and we will transpose them as your custom choice. Choose between three different color schemes*. Note that the Bergerwerke BwG519 is finished in Olive Drab as standard but other colors are available. *All paint colors are lusterless (flat/semi-flat) synthetic enamel. An optional custom metal identification plates is available and includes one line of text and your own personal choice of stenciling. Plates are fastened by correct style brackets and are offered in the color scheme of the bicycle. Optional front cargo bags are available for your Bergerwerke G519. 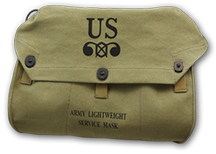 Just as they were often used on the original war-time bikes, front handlebar bags are available as a custom add-on and included with the purchase of the BW G519. and are the most accurate reproductions available. Optional stenciling for rear fenders is INCLUDED in the price on all BwG519s. 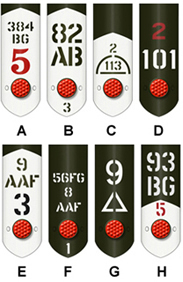 Choose from the various optional insignia below for fender stenciling or identification plates. You can also add your own custom insignia choice to personalize your Bergerwerke G519. For additional options or a design of your own, contact Bergerwerke.